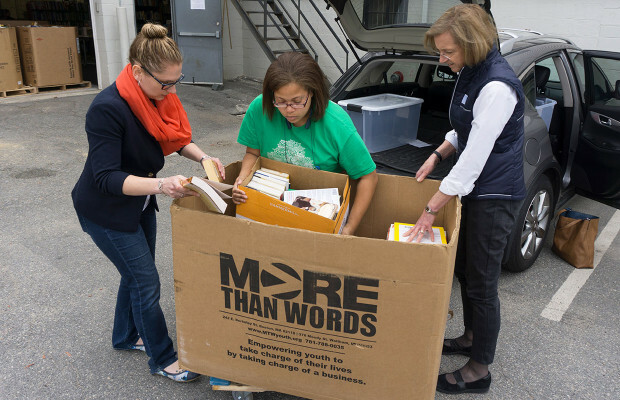 Through the month of April and beginning of May, Tocci has been collecting books for More Than Words (MTW). 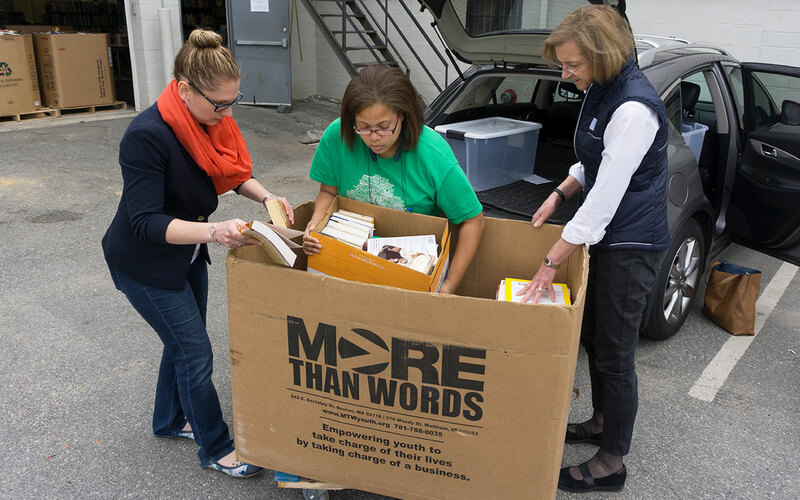 “At More Than Words, youth run two bookstores, a café, and an online bookselling business where they gaining critical life skills and resume-building experience.” MTW operates out of two locations, Waltham and South Boston. 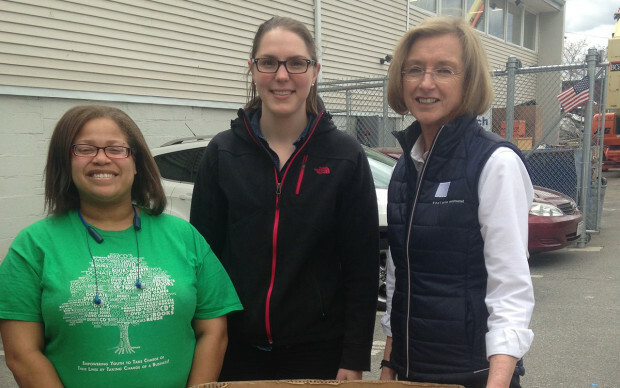 Today we had the opportunity to drop off over 200 books and take a tour of the Waltham facility. Dean, one of the youths and partners at MTW, showed us each stage in their process. 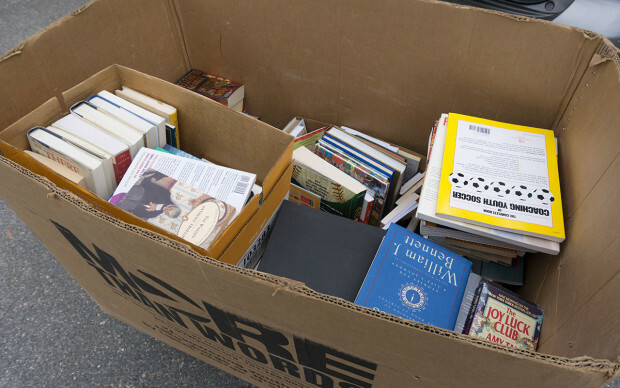 They move the books from receiving to sorting to shelving to selling and packaging for shipment. 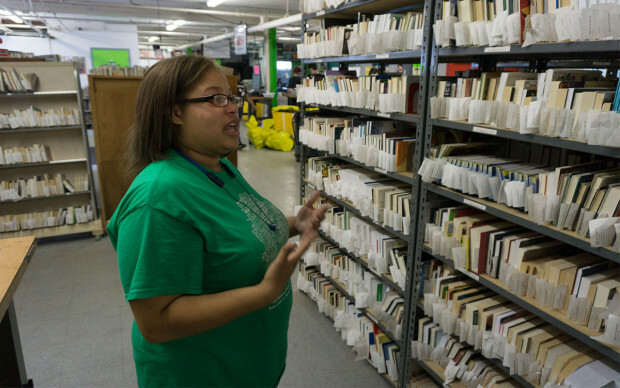 They scan each book by ISBN to determine its value. 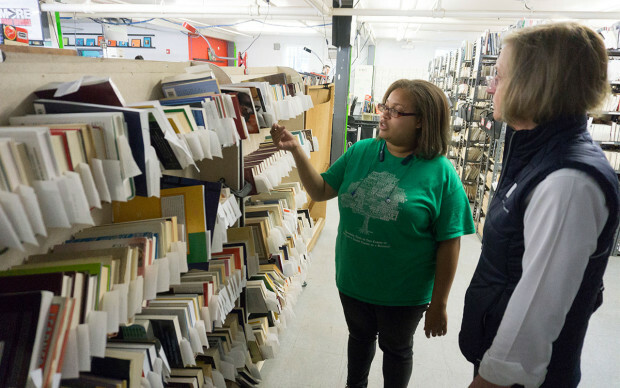 While the youths are there to learn the business of re-selling books, they have the opportunity to use computers and a quiet work space to study and complete homework. 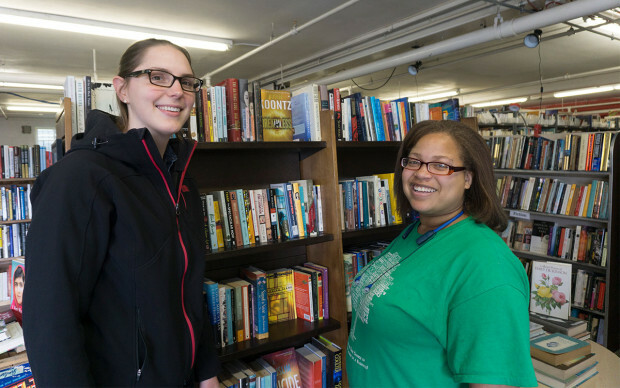 The program also assigns a mentor to each person to help achieve their goal of applying to college, getting a job, or saving money. A big thank you to Dean for showing us the ropes and to Kristin for organizing the tour! Scroll down for pics from the tour.